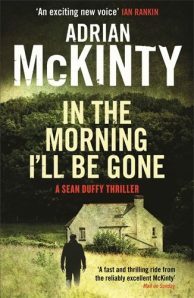 The third Sean Duffy thriller: a spectacular escape and an intense man-hunt that could change the future of a nation – and lay one man’s past to rest. Sean Duffy’s got nothing. And when you’ve got nothing left to lose, you have everything to gain, but only if you want it. So when MI5 come knocking, Sean knows exactly what they want, but he hasn’t got the first idea how to get it. Of course he’s heard about the spectacular escape of IRA man Dermot McCann from Her Majesty’s Maze prison. And he knew, with chilly certainty, that their paths would cross. But finding Dermot leads Sean to an old locked room mystery, and into the kind of danger where you can lose as easily as winning. And there’s no coming back from this kind of losing.From old betrayals and ancient history to 1984’s most infamous crime, Sean tries not to fall too far behind in the race to annihilation. Can he outrun the most skilled terrorist the IRA ever created? And will the past catch him first?